Click to discover more of the unique benefits and opportunities associated with joining the Co-Fe community. Complete with amenities, prices, and general contact information, the brochure can help you begin to determine whether the space is right for you. Take the next steps in learning about the space with the floor plan, which offers a bit more context as to the relative offering of this special gathering place. 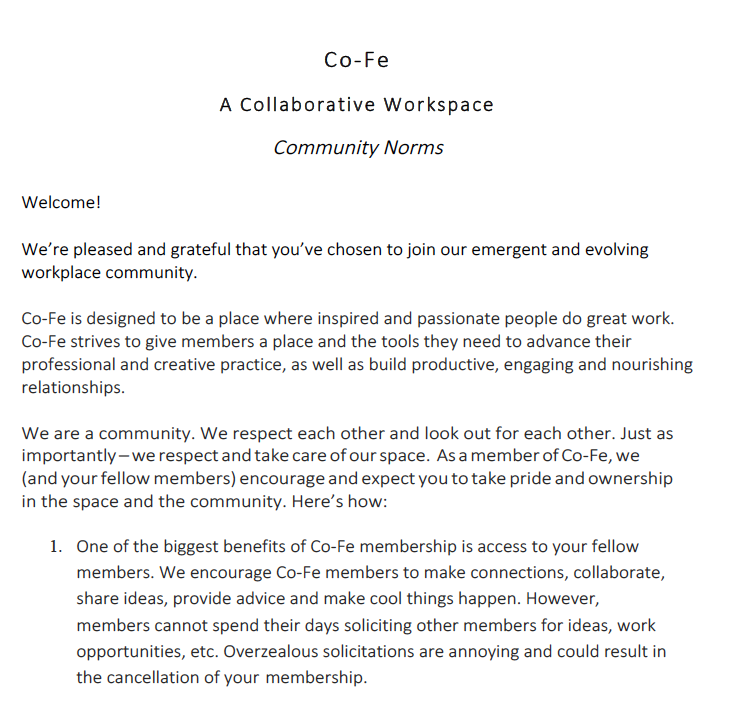 In order to help create a collaborative, supportive, and safe work environment, Co-Fe has a series of (hopefully reasonable) behavioral expectations. In advance of becoming part of our community, please feel free to read through our expectations and reach out should you have any questions.